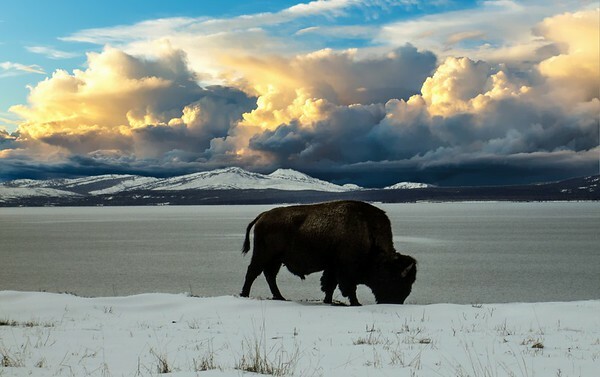 yellowstone national park, wyoming -- one of the many buffalo that call this wonderful place home. they seem oblivious to our presence until approach them. and they are large enough to be considered a serious threat.